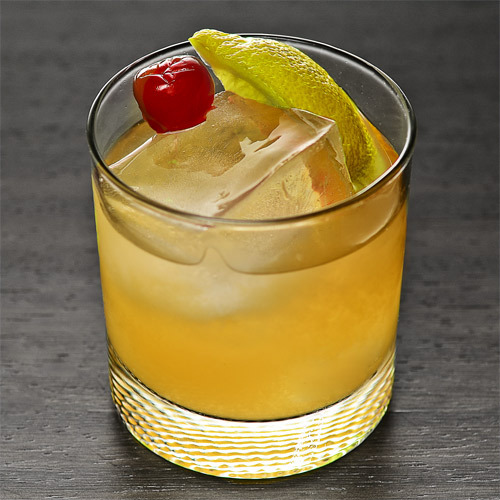 AUGUST 25, 2015 is National Whiskey Sour Day. If you were like us at The Drink, this was probably one of the first drinks you illegally ordered, thinking it made you cool and edgy. Three months after college and you probably were tired of throwing this concoction up on your bathroom floor and was ready to move on to some of its more sophisticated variations like the Boston Sour or the Ward 8. Fill a cocktail glass with ice and place in the freezer to chill. Place the rye or bourbon, lemon juice, orange juice, Pama, Luxardo and grenadine in a cocktail shaker. Fill the shaker halfway with ice and shake vigorously until the outside is frosty(30 seconds). Strain into the chilled glass.Garnish with a maraschino cherry. Fill a cocktail glass with ice and place in the freezer to chill. 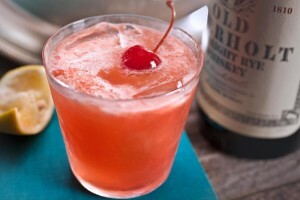 Place the rye or bourbon, lemon juice, orange juice, and grenadine in a cocktail shaker. Fill the shaker halfway with ice and shake vigorously until the outside is frosty(30 seconds).